Currently Dr Rosenberg serves as the undergraduate advisor for incoming chemistry majors and for Chemistry Majors and Pharmacological Chemsitry Majors. He is the co-director of the Center for Advanced Supramolecular and Nano-Science )(CASANS). Edward Rosenberg came to UM in August of 1993 from California State University, Northridge. He earned his Ph.D. from Cornell University in 1970 under the supervision of Professor J.J. Zuckerman. He carried out postdoctoral research under the directorship of Dr. E.W. Randall at Queen Mary College of the University of London and at the California Institute of Technology under the directorship of Professor J.D. Roberts. He has been Visiting Scientist at the University of Turin in Italy since 1974. 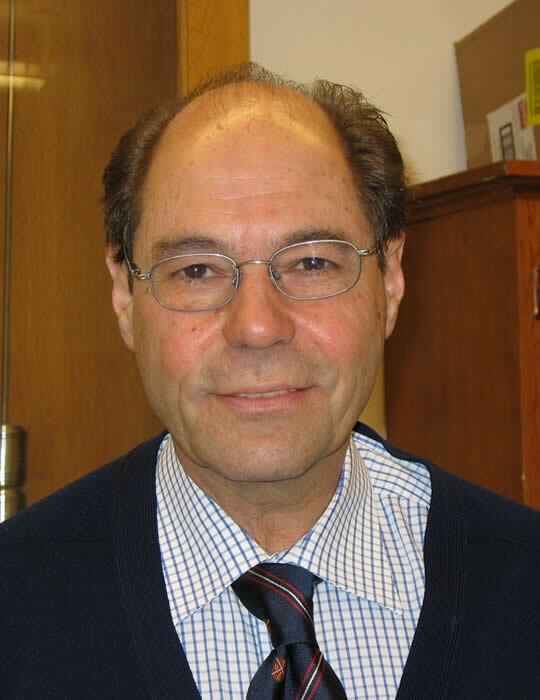 Edward Rosenberg is an inorganic chemist with strong interests in organometallic compounds with biological activity and in the development of advanced materials for metal ion separations and recovery from acid mine leaches and drainages and industrial waste streams. He teaches undergraduate and graduate courses in inorganic and organometallic chemistry. He also teaches field oriented course entitled "Industrial Chemistry and its Impact on Society. There are three current areas of research in the Rosenberg group. The first involves the design and development of new silica polyamine composite materials for applications in the mining industry and in metal ion remediation of industrial and acid mine drainage waste streams. This research involves synthesis, spectroscopic characterization and applications testing of new materials designed to be selective for a given metal or group of metal cations and anions. This new technology is currently the basis for a new company, Purity Systems Inc. The applications of these composite materials is constantly expanding into new environmental areas, viral capture and green chemical catalysis.Most recently we are utilizing these materials for uranium remediation in collaboration with the WItwatersrand University in South Africa. The company has recently been acquired by Johnson Matthey Ltd. a multinational company with the resources to take this technology to a higher level of development. Professor Rosenberg's research is currently supported by the National Science Foundation and by research contract from Porocel International, a Houston based catalyst regeneration company. Nanoporous Silica Polyamine Composites,” Mat. Chem. Phys. 2011, 126, 973-982. “Nanoporous Silica Polyamine Composites for Metal ion Capture from Rice Hull Ash,” Appl. Oxidative Ring Opening” J. Cluster Sci. (2012) 23, 885. Polyamine Composites,” Hydrometallurgy 129-130 (2012) 97-104. Edward Rosenberg and Rakesh Kumar “Relative Rates of Reaction of Pt(en)Cl (NH2R)+ with Guanosine Monophosphate as a Function of Amino Group Substituent: Toward Efficient Labeling of DNA for TEM Imaging,” J. Organometal. Chem (2013) 53-60 10.1016/j.jorganchem.2012.11.003. Photophysical Studies of Bioconjugated Ruthenium Metal-Ligand Complexes Incorporated in Phospholipid Membrane Bilayers Sharmin, Ayesha; Salassa, Luca; Rosenberg, Edward; Ross, J. B. Alexander; Abbott, Geoffrey; Black, Labe; Terwilliger, Michelle; Brooks, Robert Inorganic Chemistry (2013), 52(19), 10835-10845. 168. Photophysical Studies of Bioconjugated Ruthenium Metal-Ligand Complexes Incorporated in Phospholipid Membrane Bilayers Sharmin, Ayesha; Salassa, Luca; Rosenberg, Edward; Ross, J. B. Alexander; Abbott, Geoffrey; Black, Labe; Terwilliger, Michelle; Brooks, Robert Inorganic Chemistry (2013), 52(19), 10835-10845. Dr Rosenberg has been teaching graduate and undergraduate chemistry courses in organic, inorganic and organometallic chemistry for 37 years. Member the American Chemical Society, Industrial & Engineering Chemistry Division , Separations Science Subdivision, Inorganic Division, Organometallic Subdivision.